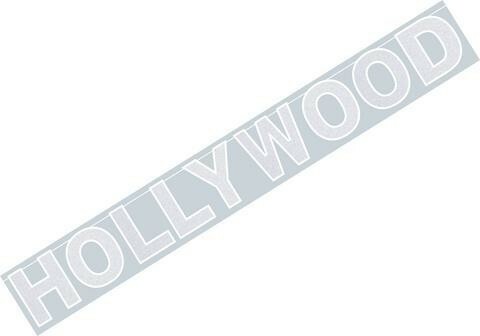 Hollywood glittered banner that measures approximately 8ft x 8.5 inches. Says hollywood in white with iridescent glitter. For best results hang streamer against a dark background. Perfect for a hollywood themed occasion.